The 15th annual weeklong celebration of night skies was a smashing success! Nighttime enthusiasts around the globe led International Dark Sky Week activities and raised awareness about the importance of nighttime conservation. From Earth Hour stories by candlelight in Mayo, Ireland, to an Earth Night dark sky collaboration in Santa Cruz, California, people around the world were introduced to IDA’s mission and the importance of preserving the night sky. Rapid City in South Dakota held a Dark Sky Festival in honor of International Dark Sky Week! Volunteers and activists from Lights Out Rapid City, a local IDA chapter founded by Diane Knutson, emphasized how something as simple as shutting off lights can make a big impact on the environment. 2. Mayo, Ireland, the host county for Ballycroy National Park and Wild Nephin Wilderness, hosted a series of International Dark Sky Week events, including a night of storytelling and magic by candlelight! 3. IDA Santa Cruz along with UC Santa Cruz and Lick Observatory held their first event, Earth Night—a combination of science talks, presentations, and night sky observation. 4. The National Parks Conservation Association published “Celebrate Dark Skies at These 18 National Parks,” a list of 18 U.S. International Dark Sky Parks where you can enjoy the stars. 5. 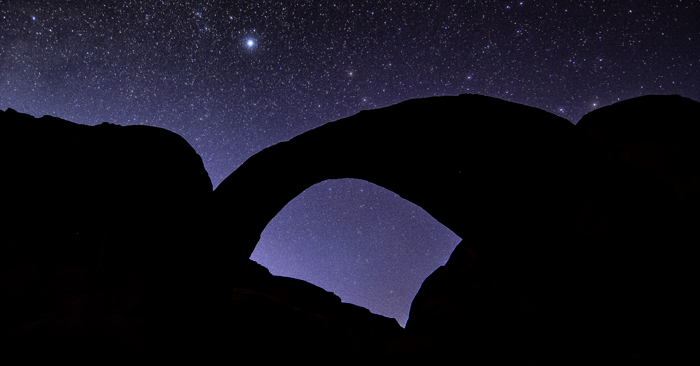 Rainbow Bridges National Monument was designated as the world’s fourth International Dark Sky Sanctuary! Previous post: Can Salmon Help Save the Night Sky?